Product code: ES1048 Categories: Sold Items, Sold Rings. 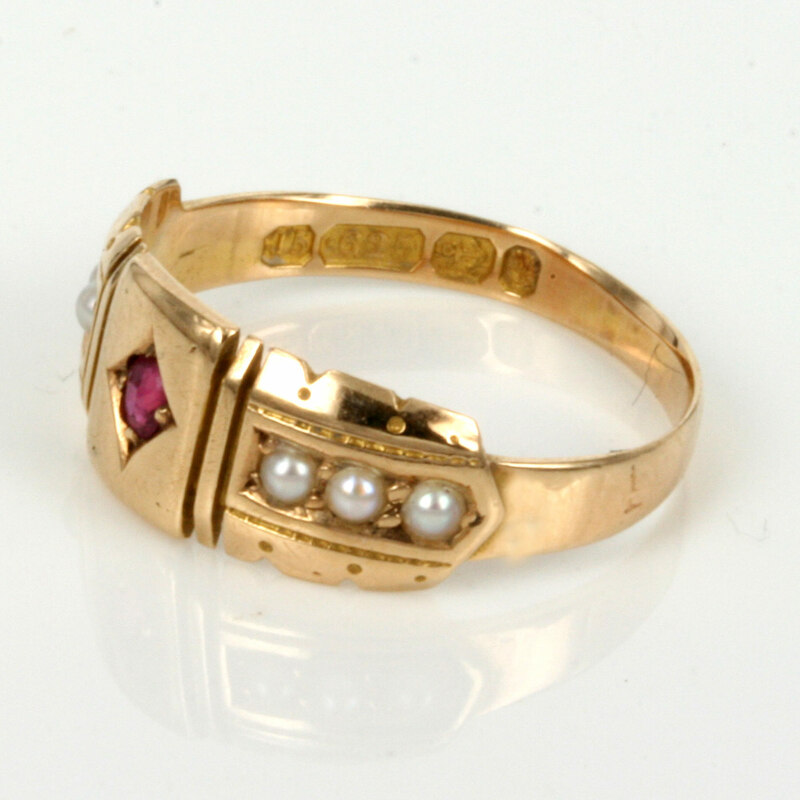 Here is a very elegant antique ruby and pearl ring in such an attractive design. 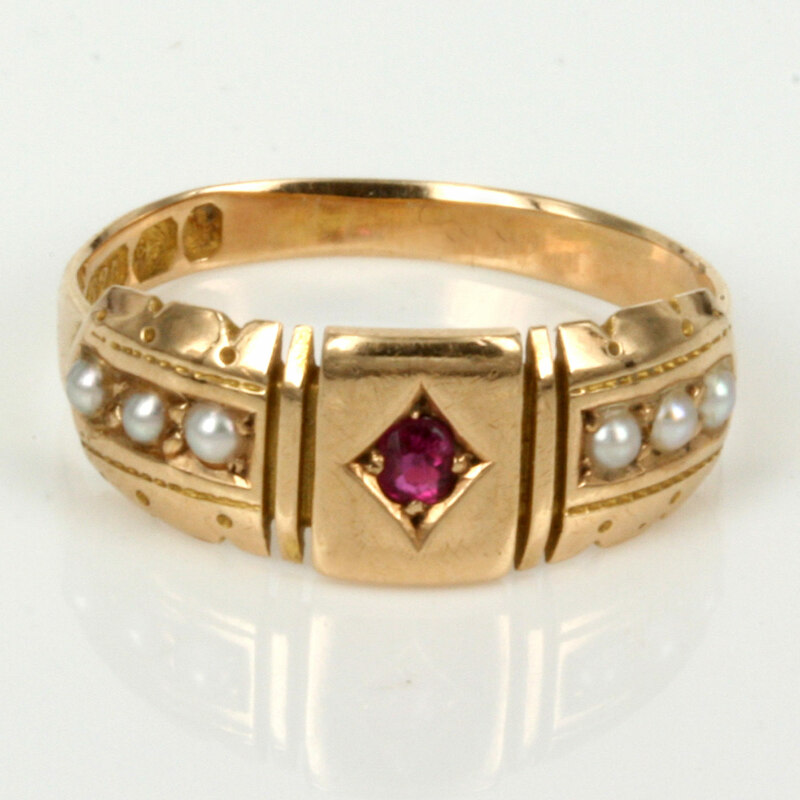 Made in 15ct gold in 1890, it is set with a ruby with 3 seed pearls on each side and is so easy to put on and wear every day. The ring measures 7.2mm at its widest part and sits so nice and flat on the finger and blends perfectly with new or antique jewellery. 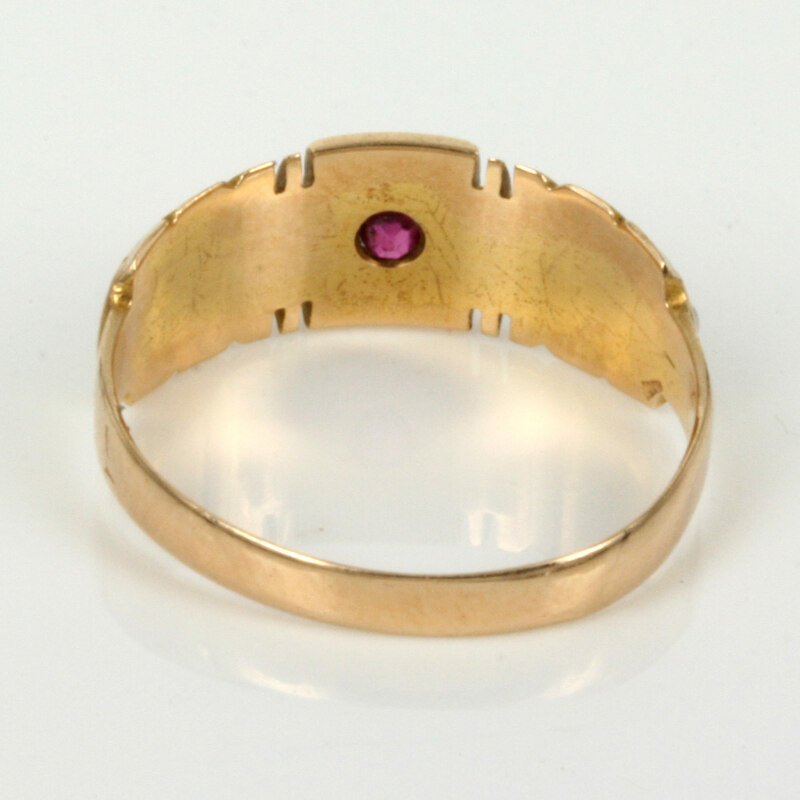 This is a perfect example of buying an antique ring well over 120 years old that wont break the budget and always be admired.